We believe that this information will help you in better understanding how to react after coming out of an accident. The service that we have provided from years of service to the people of West Palm Beach and South Florida stands as proof to our commitment. The importance of client-attorney communication is paramount to the success of the case. We want to hear from you, we want to be involved in every step to make sure that you’re on the right path towards compensation. Wrongful death and personal injury claims are never something that should be taken lightly, that is why we work to advise our clients and their families as to what may come next. Education towards the etiquette of future accidents may indeed save you and your loved ones a great amount of time and effort. If you’ve been in an accident or have lost a loved one or family member in an accident, the West Palm Beach wrongful death attorneys of Wolfson Law Firm are here to help. Their West Palm Beach wrongful death and personal injury attorneys are prepared to help you if you’ve been subject to the negligence of another. 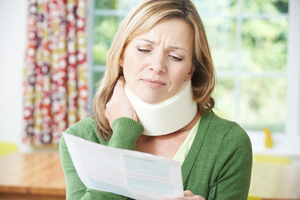 There is no fee charged to you unless you’re able to make a recovery, and a consultation is free. Jonah Wolfson, the bilingual personal injury and wrongful death attorney in West Palm Beach is prepared to speak to you personally on the benefits that are owed to you. Give them a call at the toll-free number of (855)-982-2067 for a free and confidential consultation.